Learning has always been based on media. However, the way how we learn is continuously changing. But new requirements in professional life and society call for new forms of learning. Nowadays, employees not only need a great variety of technical and subject-specific information, but also an increasing amount of information from other departments and disciplines in order to meet the high demands in our challenging days. 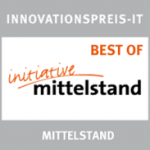 IT-security, data protection, EHS, compliance, digital transformation or more efficient ways of working are just of few of todays hot topics. Today’s requirements for learning systems are the integration of learning with fun, knowledge and sustainability. New technologies for information and communication are a profound basis for such requirements. 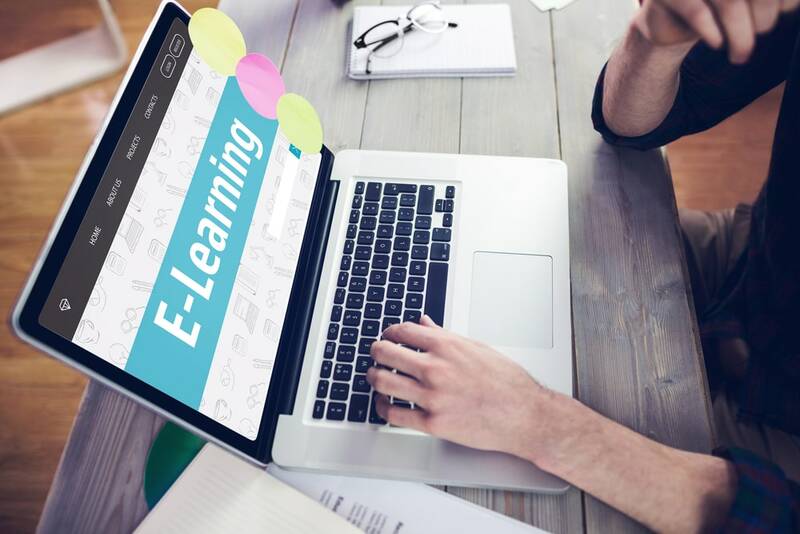 The aim of E-Learning is to motivate the employees, to acquire new knowledge and to retrieve gained knowledge – but always in a continuous and sustainable way. It is often challenging to transform a boring contend-based subject for different, often heterogenous target groups in entertaining learning modules. 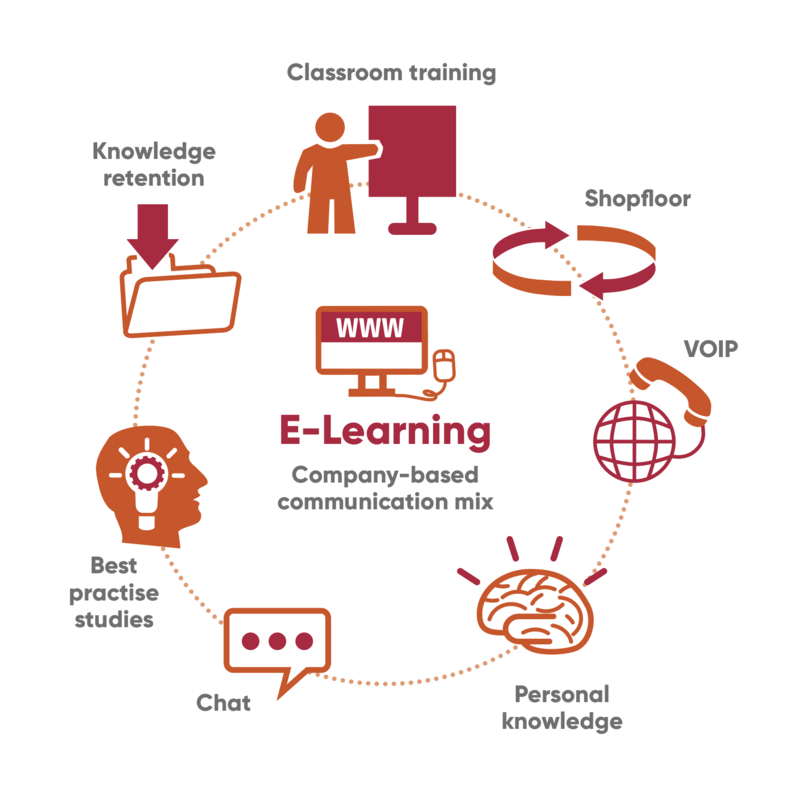 ProGemma’s training concept is based on decades of experience in adult education. Change processes in the development of employees are closely interwoven with the topics of knowledge management and pedagogy. 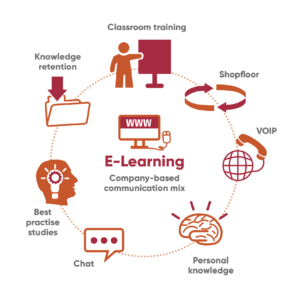 Depending on the needs of the company (further development of individuals, training in small groups, duration, time, location and budget), we combine, for example, Workshops and seminars with the possibilities offered by e-learning. Together with our partner Coursepath, we offer you the infrastructure for a modern, digital learning platform that reflects flexibility and the spirit of the times. It is important to us that e-learning supports your processes in a targeted manner. In addition to the advantages of flexibility (site, time and device-independent use), e-learning increases the motivation of the employees by means of playful learning elements. Learning progress and results can be sensibly tracked in a reporting. Profit from our special condition for licencing fees. 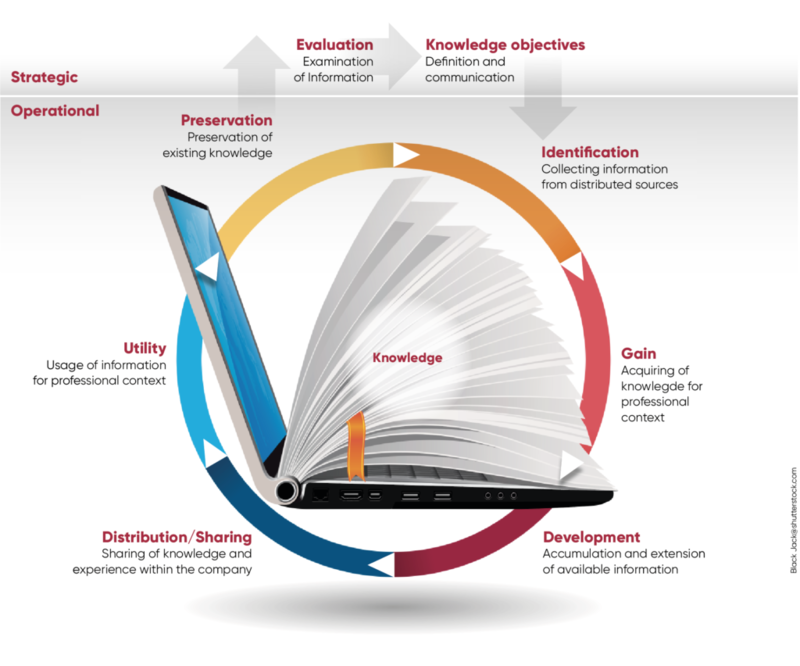 Managing knowledge – but how? Establishing a knowledge economy within your company! 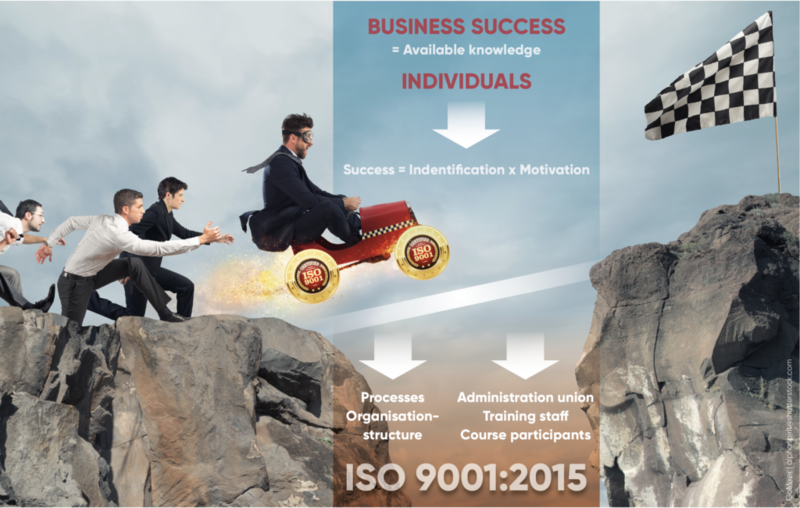 The ISO 9001 Standard is an international standard for the establishment, design and implementation of a quality management system in an organization. Applying these standards enables an organization to demonstrate its ability to consistently provide products ad services that meet customer requirements. Without mentioning the term “knowledge management” explicitly, in chapter 7.1.6 “Organizational Knowledge” four requirements are presented requesting a systematic approach to knowledge. Necessary knowledge, which is needed for the operation of its process and for obtaining and assuring conformity of products, has to be identified and defined. The necessary knowledge has to be up-to date and continuously developed. The knowledge is to be shared in such a way that it can be effectively used within the organization. To meet external requirements and current trends, new knowledge has to be generated. > 60 % of the interviewees do not know the precise requirements regarding knowledge. The degree of fulfilment of the individual requirements is between 30 and 46%. To populate the knowledge data base, to keep it available and to continuously develop it, a conscious handling of knowledge is required. Furthermore, sharing and spreading knowledge can be done both by a continuous and multi-sided communication and by dealing with new tasks and challenges in a team. The continuous transfer of knowledge within the company is crucial. Different competencies and skills, such as extensive practical experience and current level of knowledge, can be combined. The required strengths can then be used. Continuous education and training is used to extend maintain and the current level of knowledge. In order to make existing knowledge available to a wide basis, the gained knowledge has to be spread to and shared with other employees using internal (in-house) trainings. We strongly recommend to create and develop processes cross-departmentally with responsible/involved employees. Gained know-how regarding the process-based view can be easily implemented and has an identity-establishing and motivating effect. This reduces silo mentality significantly and promotes vivid thinking in processes instead of isolated departments. There is often uncertainty about who is supposed to design the knowledge database structurally because employees tend to be already working to capacity with their other tasks. 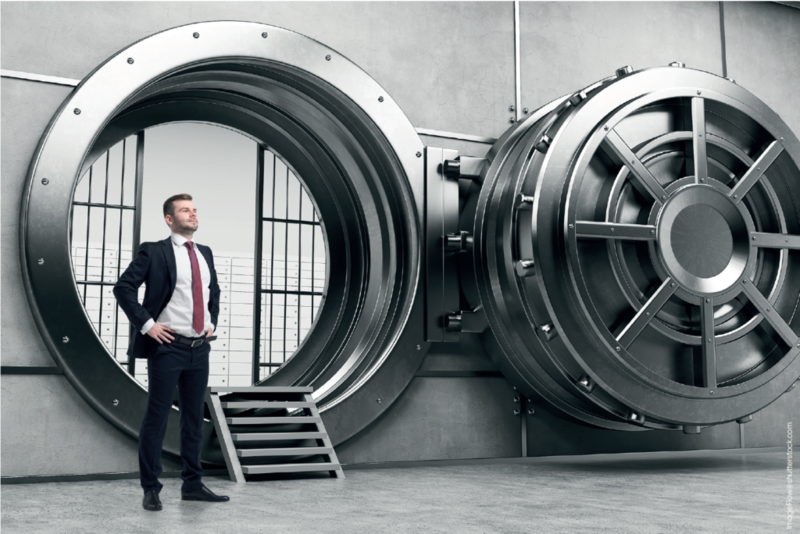 However, these fears are unfounded as there are already technically mature knowledge databases which can be systematically used by the companies. These systems transfer the data of the employees automatically from existing SAP, PPS or ERP systems to the database using interfaces. The required time for maintaining and entering data in the knowledge database is rather low because of its high automatization. The knowledge database can be considered as holistic because every single employee (cross-departmental) can handle it easily without tedious training. An integrated search function enables a quick access to the data. It is crucial that all relevant data is reproducible which means it can be applied again. In practice, the knowledge database supports e.g. routine questions to operational or customer-related processes and characteristics. An easy access saves time and helps to reduce errors and mistakes. From the practical added value in the process, the business advantage is generated in the second step. Routines are made available, accessible and transformable more quickly and expeditiously implemented. 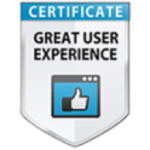 Furthermore, many branches are confronted with required certifications. 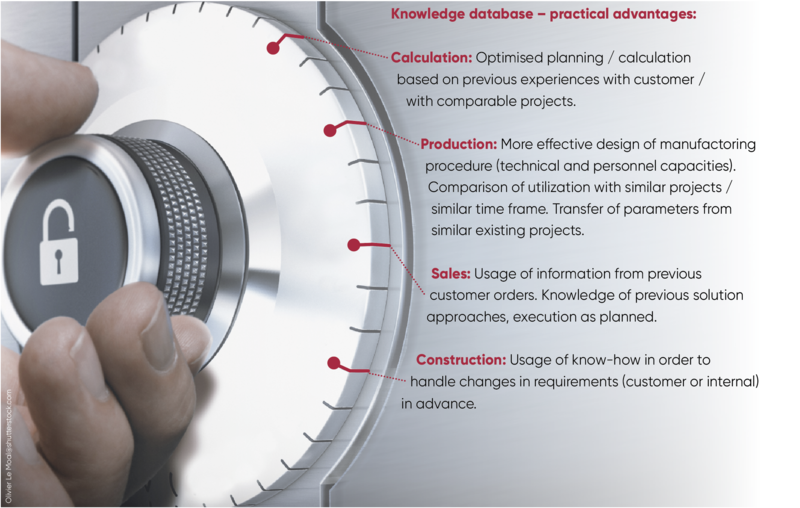 Using a knowledge database supports quality management und guarantees a consistently high level of quality. Practical shop floor experiences and field-tested methodological competences (esp. project management) combined with self-determined learning generate the highest learning success. Theory and practice are combined within the company and build an integrated, implemented and communicated knowledge across all levels within the organisation. The constant qualification of employees is perceived as increasingly difficult by many companies, as the product life cycles are getting shorter and shorter and require constantly new knowledge. But internal processes are also accelerating. In order to avoid costly and timely internal or external loops of coordination, project managers are increasingly being asked to foster the qualifications of their employees / team members on their own. This results in a new culture of education and professional development. Project managers provide their knowledge, prepare courses independently – or with the support of specialist staff for visual and textual communication – and let employees actively participate in their own qualification. 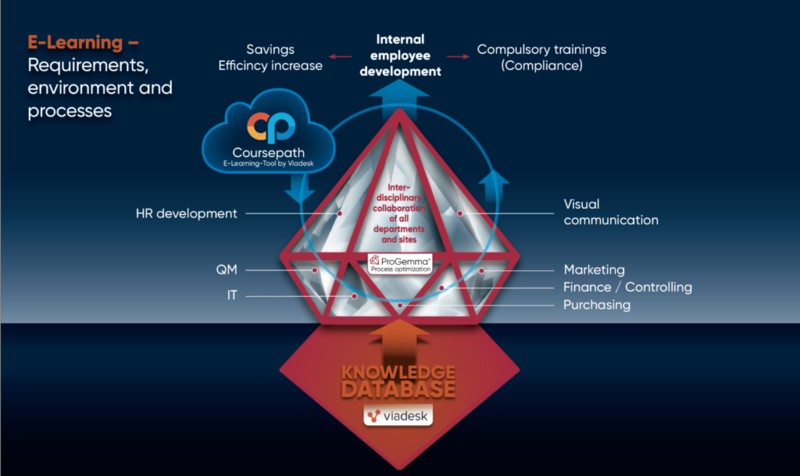 Viadesk’s e-learning tool “Coursepath” has established itself with great success in the agile project management of ProGemma – from the shop floor to the management levels (high employee and user acceptance). PDFs and e-mail have some blind spots because they are lost in the flood of news and are quickly outdated and forgotten. This is where e-learning comes into the picture. A central training platform with all relevant training and further education offers is always available and always up to date. This requires intuitive tools that can be used and updated without outside help. This is an achievement of e-learning in business: documents are no longer sent and hoped to be read. Instead, it is audit-proof to check who took part in the training. In addition, test questions can be created and answered by the participants. Transparency is not only of great importance to the company, but also helps participants to assess and evaluate their own qualifications and further learning needs. 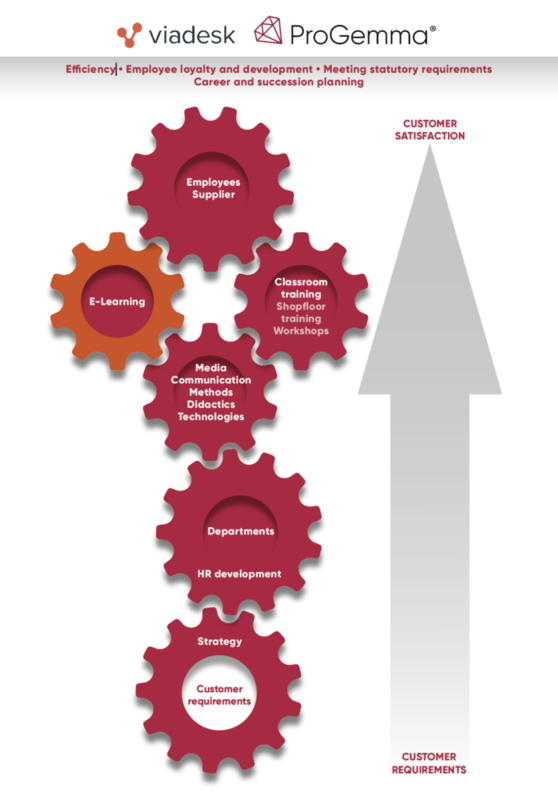 What is essential for modern employee development and education? An employee is no longer seen as mere consumer and recipient! He shapes and designs in every possible way. A famous concept is „employee-led-learning“. Accessing content is timely flexible and every personal mobile device is supported. Employees are fully self-determined and flexible – even (and especially) shop floor, the place where ‘action takes place”. The employee both gives and expects feedback. That means, he is involved in creating and improving content. As soon as a qualified employee starts to create new courses, e.g. about new skills such as digitalisation, an active, self-sustaining learning culture is created. Different departments and sites are interlinked. We create complete training modules or training series in Coursepath on a defined topic according to your wishes and requirements. From concept development, didactic design, research and visualisation to go-live – you get everything from one source. Our training modules consist of a knowledge-transfer-section and a part with questions. The courses are suitable for acquiring new knowledge, refreshing existing knowledge and assessment part. 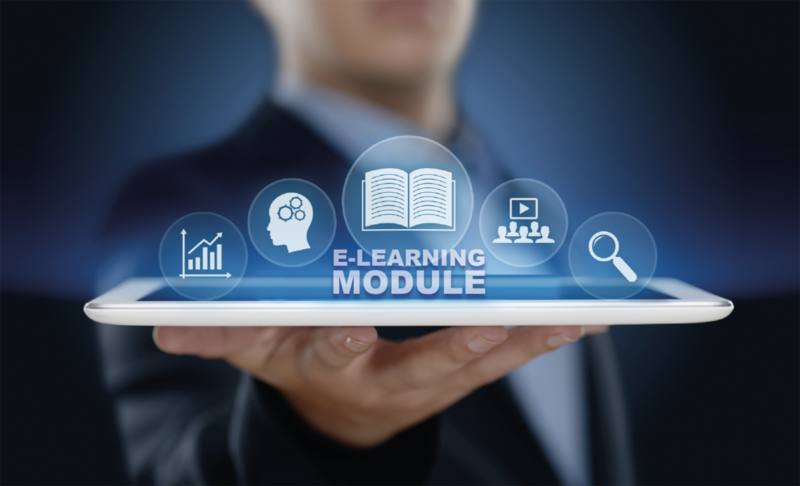 If you would like to create e-learning training modules or entire training series by yourself, we support you at every stage so that your e-learning courses are instructive, exciting and of high quality. Our individually tailored e-learning courses can cover general topics as well as company and subject-specific topics. You can benefit from our standard trainings as part of our projects. These training courses, which have already been tested by a large number of participants, are available to you right from the start of the projects.